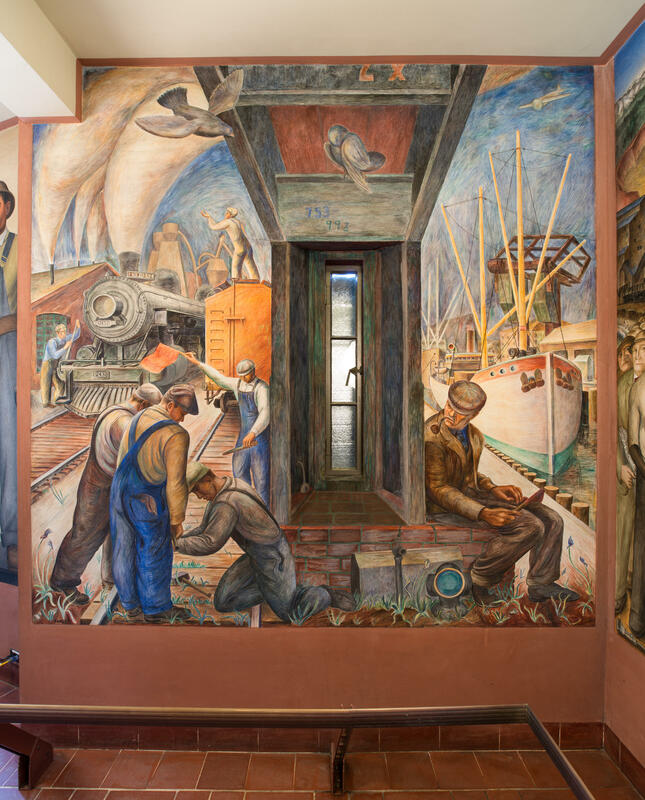 What are the stories behind the newly completed restoration of Coit Tower and its famed murals? City Visions host Joseph Pace speaks with the architect, conservator and city officials responsible for the $1.7 million project, and explores the monument’s artistic, historical and social significance in San Francisco. 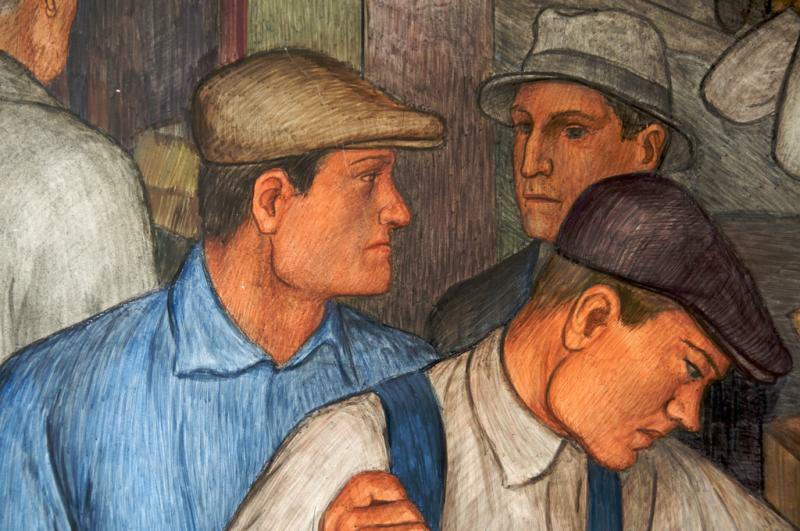 Last week marked the 80th birthday of one of San Francisco’s grandest landmarks: Coit Tower. 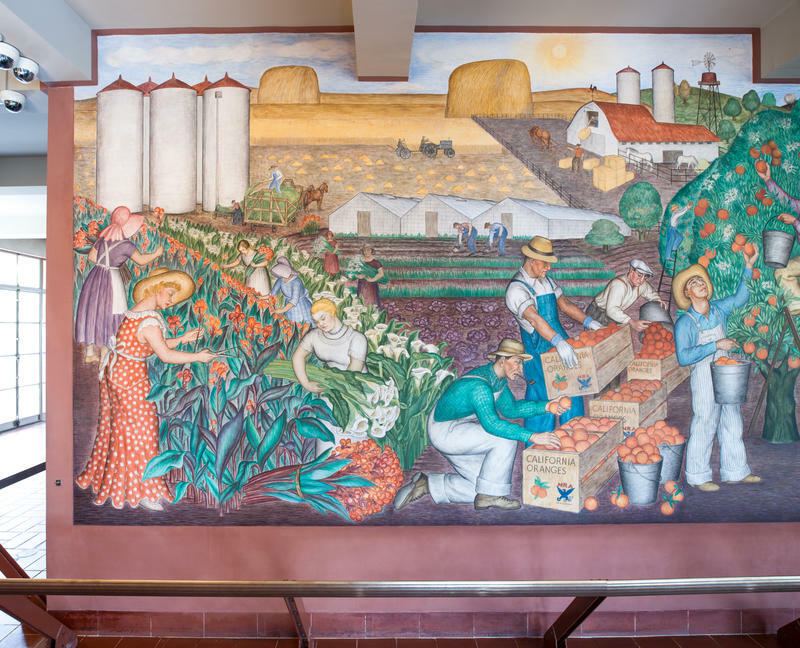 Inside the iconic structure are several colorful murals depicting themes of labor and life in California during the Great Depression. 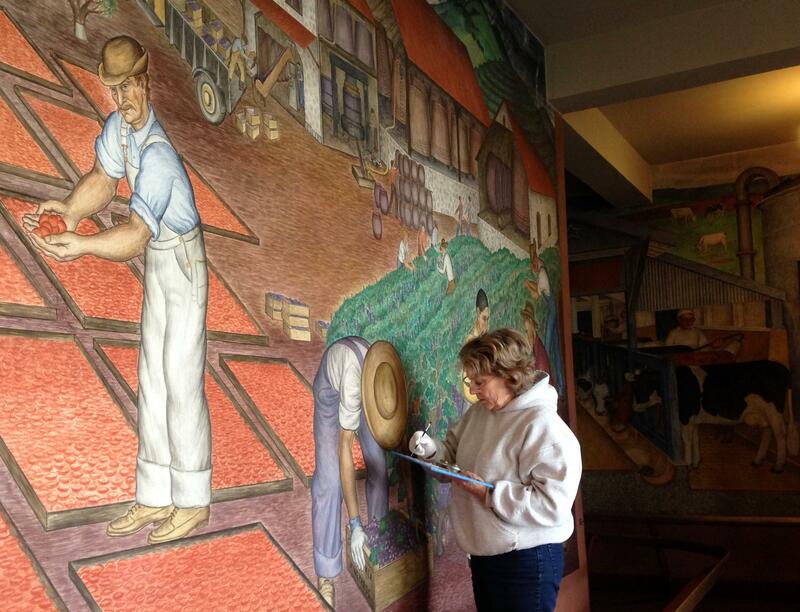 A group of master artists went to work on these murals in 1934 as part of the Public Works of Art Project. The program was part of the federal government’s effort to put people back to work, a precursor to the creation of the Works Progress Administration. The year 1934 also marked the controversial West Coast Waterfront Strike, which helped usher in the national organized labor movement. 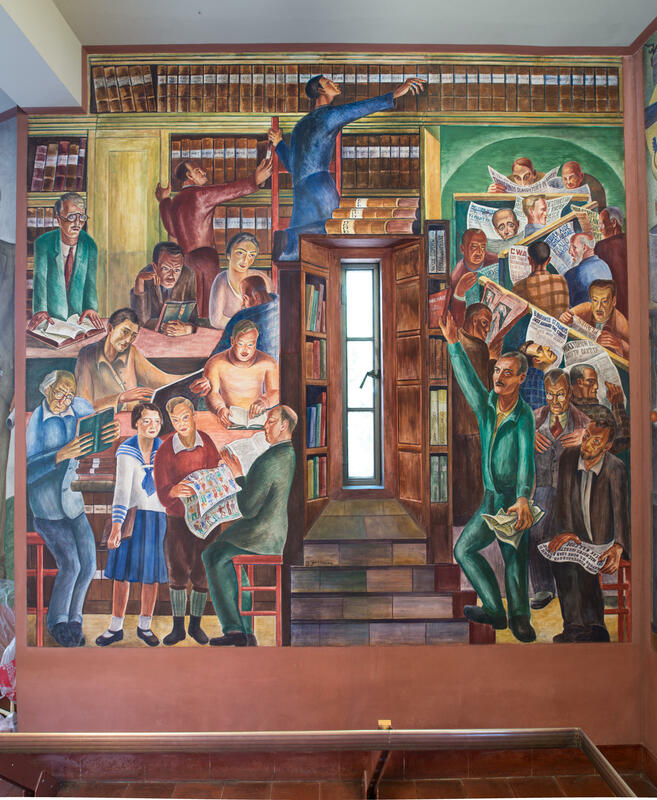 Violence broke out during the strike, and controversy over the radical content in some of the murals ensued. Some of the most contentious scenes were painted over. 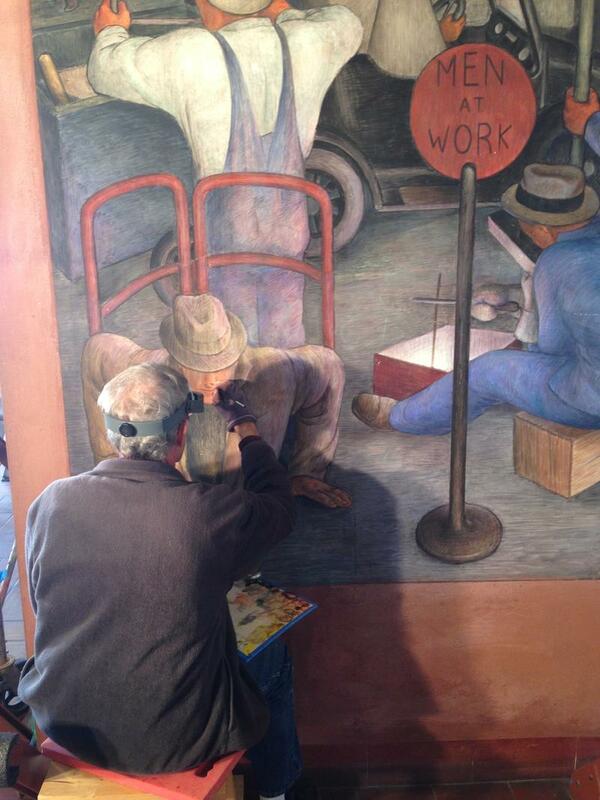 Bernard Zakheim was one of the Coit Tower muralists, and his daughter Ruth Gottstein remembers the strike in this interview with San Francisco StoryCorps.